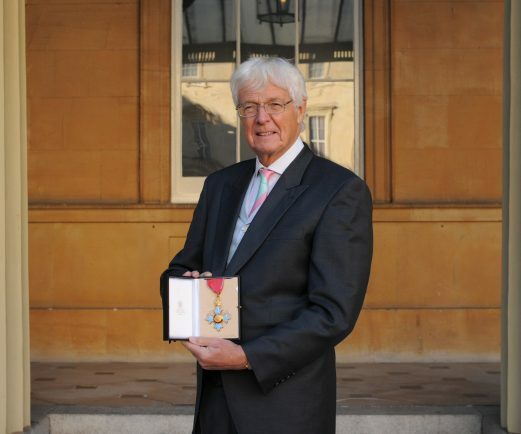 THE MAN behind Coventry’s bid to be UK City of Culture has received a CBE for his dedication to the region. David Burbidge, the chairman of the Coventry City of Culture Trust, visited Buckingham Palace to receive his CBE for services to cultural philanthropy in the Coventry and Warwickshire from HRH Prince Charles. Mr Burbidge, who is also a Deputy Lieutenant of the West Midlands, is now determined for Coventry to be named UK City of Culture 2021 when it is announced early next year. He said: “It was a very proud and humbling occasion. I never expected the CBE. “I have simply tried to do as much as I can to help causes close to my heart that I believe are hugely beneficial to the well-being of the area. “The bid to be City of Culture is probably the biggest single project I have been involved with and I am determined that we will bring it to the city. “I know the great benefits it will bring to every community in Coventry. David is the chairman of Burbidge and Son Ltd, a 150-year-old family-owned company which manufactures kitchen and bathroom furniture at two factories in Coventry. He chaired the Belgrade Theatre board for seven years and led the £14m project to build the new B2 auditorium and remodel the whole building. Until recently he was also main board member of the Royal Shakespeare Company (RSC), chairman of the Central Campaign for the £112m transformation of the RSC theatres at Stratford-upon-Avon and championed the £4.5m campaign to restore the Swan Wing at the theatre. He was also the founding Chairman of the Coventry Cathedral Development Trust, which raised more than £5m for the Cathedral ministry and for endowment. In honour of his efforts, he was presented with the Coventry Award of Merit for ‘Outstanding service to the economic and cultural life of the city, including contribution to the development of the Coventry Building Society, The Belgrade Theatre, Coventry Cathedral Development Trust and, more recently, the Royal Shakespeare Company and to the Lord Lieutenancy of the West Midlands’. Mr Burbidge added: “In the space of just over a year, we have drawn in wonderful support from the people of the city, from the businesses, from the city council, the two universities and from the cultural organisations as well as getting backing from the wider West Midlands region and achieving a national profile. Visit www.coventry2021.co.uk for more information about Coventry’s UK City of Culture 2021 bid.